James began his career styling hair in 1997 for the Shears group in Croydon, where he trained and worked as a stylist and colour technician. He then went on to work for Charles Worthington as a stylist in their flagship salon in London’s West End. As a member of Charles Worthington’s artistic team James worked on shoots for magazines such as Stag & Groom and 19 Magazine, and also styled the hair of models at London Fashion Week for the designer Julian McDonald. 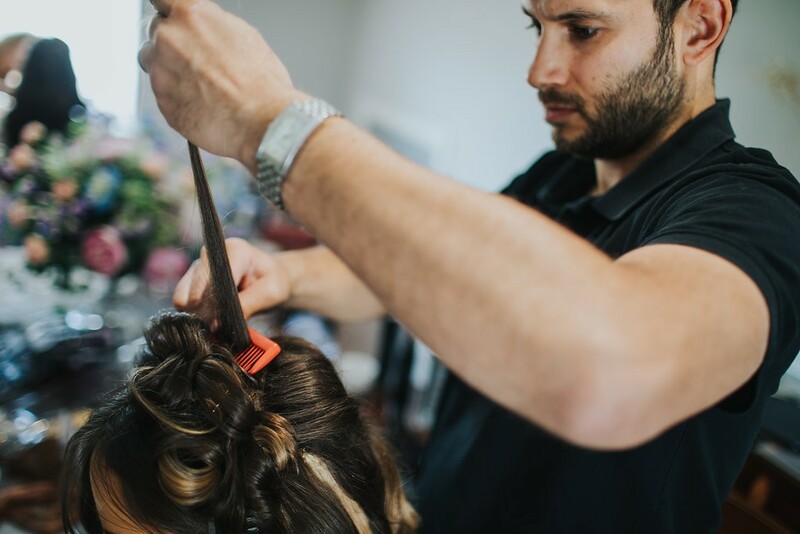 In the early years of James’ career he showed a passion for stylying hair, and now with over 10 years’ experience in the wedding industry he is a respected artist in this field. James is committed to expanding his knowledge and skills, regularly attending training courses with L’Oreal, Wella and Patrick Cameron. Please take time to read our bridal testimonials and browse through our photo gallery.